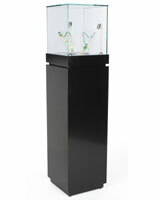 All of the illuminated cabinets shown here are sent on the same day. 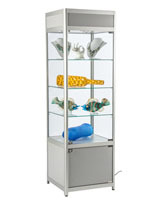 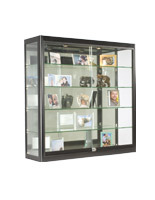 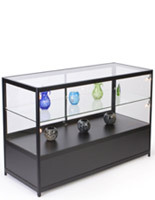 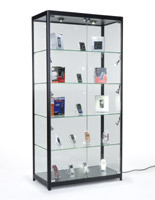 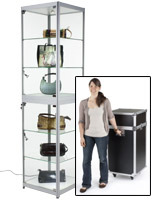 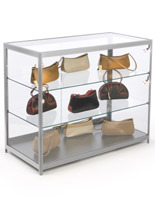 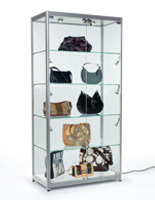 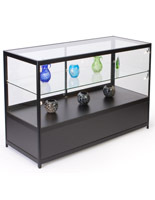 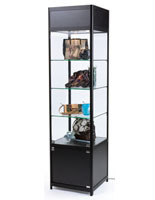 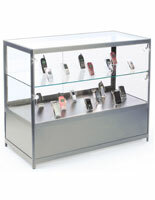 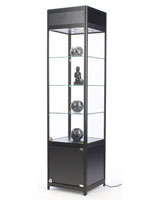 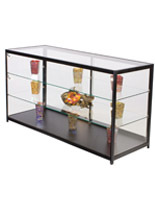 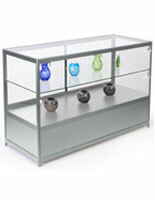 Ordering one these display cases with quick shipping is an excellent choice for getting a unit as fast as possible. 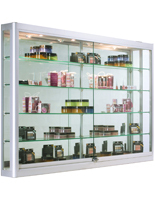 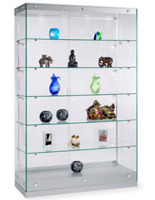 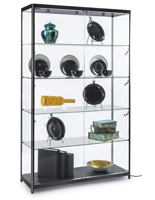 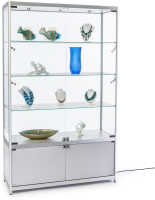 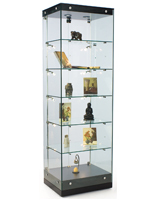 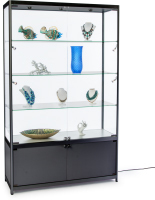 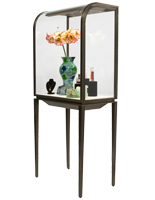 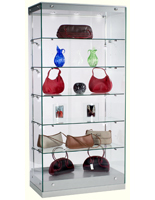 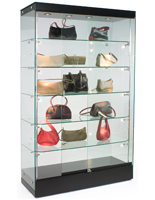 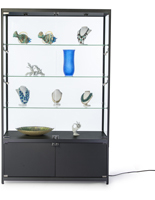 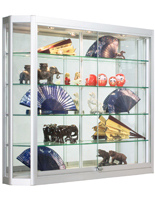 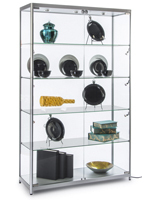 This variety of showcases are available in a number of different sizes, with an assortment of varying features. 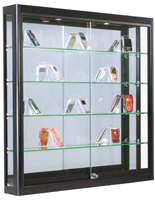 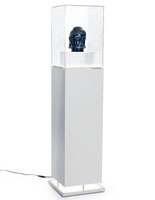 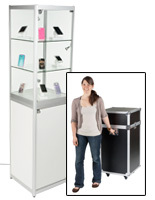 Any retail store, gallery, corporate office or school can make use of these display cases with quick shipping. 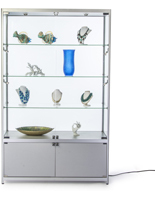 With their included illumination, the fixtures are ideal for featuring valuable merchandise like handbags, cell phones, antiques and jewelry. 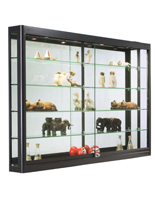 Museums can use them to exhibit sculptures, artifacts and other curios. 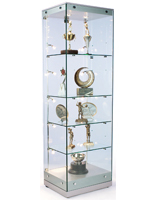 In workplaces, the display cases with quick shipping can illuminate merchandise samples, company awards and memorabilia from its history. 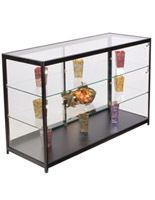 When placed in school hallways, they can feature student projects and sports trophies. 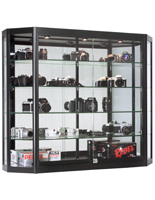 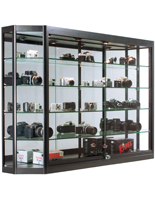 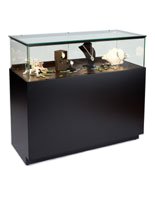 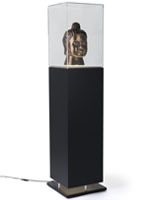 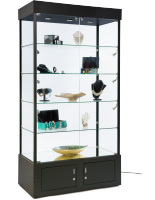 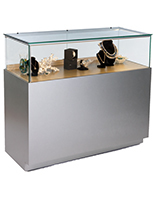 These display cases with quick shipping all come with either halogen or LED lighting for extra prominence. 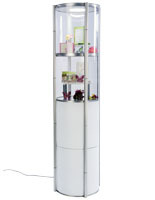 This includes three styles for more presentation options: top, side and spotlight. 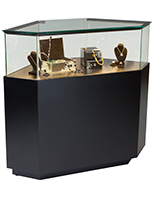 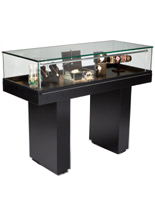 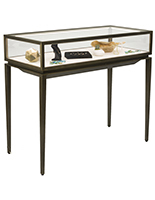 Each display case is made with durable tempered glass panels and a frame of laminated MDF or aluminum. 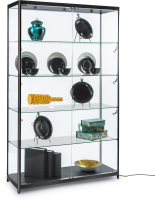 Options here include a number of neutral finishes such as silver, black and a number of wood shades. 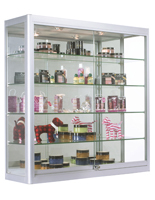 Additional features include adjustable shelving, secure locking doors and hidden storage spaces for keeping supplies out of sight. 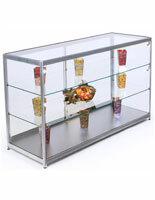 Order on DisplayCabinets2go.com for same day shipping.